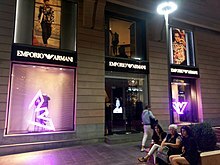 Emporio Armani has boutiques in Toronto, Oslo, Frankfurt, Amman, Bahrain, Jeddah, Bogotá, Miami, Tokyo, Amsterdam, Madrid, Chicago, Paris, London, Glasgow, Los Angeles, Houston, Mexico City, Jakarta, Kuala Lumpur, Milan, Buenos Aires, Istanbul, Tel Aviv, Sydney, Dubai, Daka, Lima, Seoul, Singapore, Bangkok, New York, São Paulo, Vienna, New Delhi, and many other cities around the world. 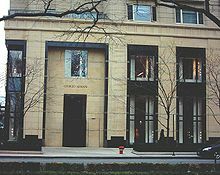 The sub-label sold products worth 2600 million Euros and earned about 750 million in 2010. 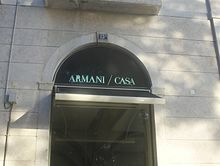 In 2011, it sold products worth about 3100 Euros and earned about 900 Euros. 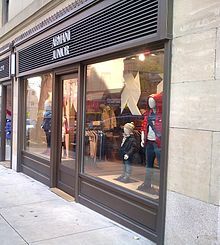 In 2012, the label earned 1100 million Euros, selling products worth 3.6 billion Euros. 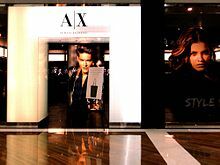 In 2013, the label gained sales of about 3.55 billion Euros, earning again 1.1 billion Euros that year alone.